5G is the hottest buzzword in the telco industry right now. The first 5G mobile devices can be used in the US and South Korea, with other countries preparing to support the new network standard. But 5G doesn't just mean faster video downloading for your phone. Here's how next-gen connectivity could change other aspects of our lives, both from the onset and in the long term. Download speeds of 1Gb per second (or more) will usher in the age of instant gratification for downloading and streaming. Waiting for your video to buffer will one day be a distant tech memory similar to the distinctive modem screech. Watching YouTube or Netflix on your cellphone data is something we're used to now, but 5G could really push the next level of streaming - that of video games. 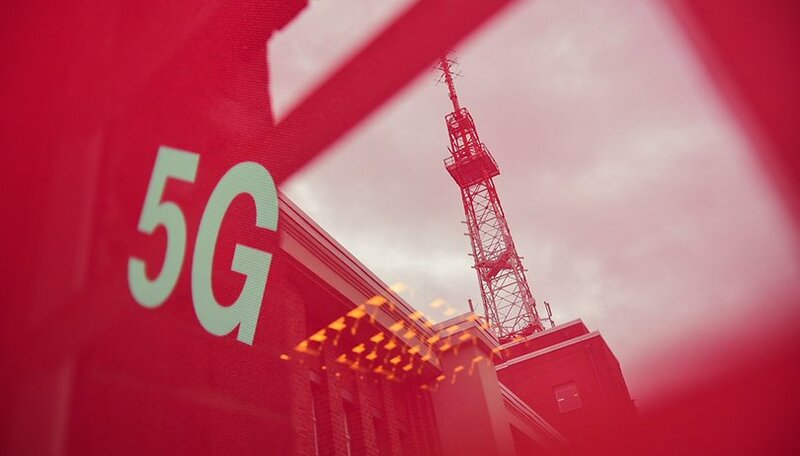 5G is ultra low-latency, meaning a stronger and more reliable connection that could enable the instant streaming of AAA games with high fidelity graphics, complex environments and twitch-trigger action. Have you downloaded a AAA game lately? Depending on your home connection, it can take a couple of days. Meanwhile, the proposed Google Stadia service promises high end gaming on demand from the moment you click on a link, ad, or YouTube video, and instant sharing on top of that. Why 5G speeds won't be strictly necessary to stream a game, it would certain help achieve the kind of quality and responsiveness that could actually give consoles and PC a reason to worry. On a related note, I enjoy immersive VR experiences - on a rather clunky headset that has to be connected to my bulky gaming PC. All well and good, but that's not the sci-fi dream, is it? Devices like the Oculus Quest and the Magic Leap One can deliver untethered entertainment, but they basically ask that you wear a small computer on your face or in your back pocket. Hardly a device that will be always on hand (or on eyes?) like our smartphones. 5G could eliminate the need for that small computer, allowing smart AR glasses or ultra-lightweight VR headsets, or even XR devices that can adjust between semi- and total immersion, to be slimmed and streamlined down into something that people actually want to wear. And with less expensive hardware on board, the potential of AR glasses could truly be unlocked thanks to being able to stream the AR graphical content and track your gaze faster and easier. Mind you, that's something more than a few years down the line. But for the moment, HTC is already prepared to offer low-latency VR streaming in the home using its 5G Hub. In the long term, the fast flow of large amounts of wireless data could be key in establishing a widespread visual Internet interacted with via AR. For AI agents and smart devices to work, they need to process a huge amounts of information, and not only during operation. This also applies to training data for neural networks. To get better at navigating real space, recognizing images, learning the nuances of language and conversation - that takes a lot of data crunching. In nutshell, this could accelerate the development of smart cars, autonomous robots, basically smart everything, because of faster learning. With 5G enabled, voice assistants like Google Assistant or Alexa will also be able to run through scenarios and calculating odds much faster, which should lead to our AIs being able to handle more complex tasks and make more accurate predictions. These virtual assistants don't have any brain on board, instead, they send requests and receive answers from Google or Amazon servers. The faster and more often various IoT and smart home devices can send and retrieve data, the more responsive and capable they will be. This also applies to industrial robots and autonomous tools that will be able to operate faster and more reliably away from human supervision - potentially in hazardous areas, sending up-to-date data for onboard AI tasks or status reports on whether they need repairs. Think about automated delivery robots, for example, currently only able to go short distances. Smart home tech may be all the rage, but high-speed wireless data has great potential in the public sphere as well as in our households. 5G can enable our cities to become smart through a technique called network slicing, in which a single physical network can be divided into a number of virtual networks, each with their own purpose and priority. Network slices can work independently of each other and won't be affected if one gets overloaded or shut down. For example, in the event of a disaster, the network slice for emergency services won't slow down because of everyone calling/texting their loved ones or sharing on social media. The smart city can have worrying implications for state surveillance. Smart street lighting could monitor the movements of mobile devices and connected vehicles around the city to adjust illumination and luminosity based on the density of users nearby, saving energy and allocating resources more efficiently. Sensors on trash containers can communicate in real time with collection services and direct them to stop where the need is greatest. Parking spaces can be equipped to notify drivers (or the smart cars themselves) of available parking locations, saving time, fuel and stress. Mundane on the surface, the claim that 5G will enable longer battery life on our devices seems the most outlandish, if only because we've gone so long without real improvements in battery life in mobile tech. In fact, even as charging becomes faster, the batteries themselves can only barely keep up with modern smartphones. And won't our smartphones and other 5G connected devices still consume electricity? There's no getting around that. Yet there's a method to the madness, as outlined by Verizon chairman and former CEO Lowell McAdam. Imagine a future where your phone will have to be charged just once a month. In a panel discussion during a tech conference, McAdam stressed that the main added value of 5G networks won't be high download speeds, but instead the main point is "drastically lower latency". This advantage could lead to IoT that could keep a charge for 10 years, or ultra-light handsets only need to be plugged in for charging once a month. Most of the actual computing power housed in our mobile devices now will be less needed and move to edges of the network, so the devices themselves will not only have more room for a larger battery, but the battery itself will have less demands on it. I'm taking this one with a pinch of salt, since I think that we'll always find work for our devices to do that will end up using battery, and we're not quite sure how necessary onboard components such as the modem itself, GPU and memory will be handled more efficiently in practice. But so long as we're looking to the future, here's to hoping. Are you looking forward to 5G? What do you hope to see from the next network standard? Let us know in the comments. At least in the initial stages, the cost of devices with 5G enabled modems and the cost of 5G plans both will be quite high. Competition / race / pressure / need to upgrade to 5G as fast as possible, atleast for some organizations and individuals, will force them to invest into it beyond their capacity. There is already a huge criminal force sometimes sponsored by state which is carrying out cyber crimes and advent of 5G will therefore not only open new avenues of development but will pose some serious security challenges as well. most of the smart applications would cost more in upfront and ongoing costs than most municipalities could justify. Factor in the security that simply doesnt exist in these devices against the reporting requirements and data storage laws in existence. Its impractical to implement in much of the US. On smaller scales, a parking garage could report available spots more readily and advertise it curbside. Private implementations are more likely than public.